Since Windows 8 was launched, the versions of the operating system have been consistently facing issues with network connectivity. Earlier with Windows 8, the “Limited or no connectivity error” was a common issue. Microsoft tried working on these issues bettering the situation with every update. However, still plenty of users face issues with the network. 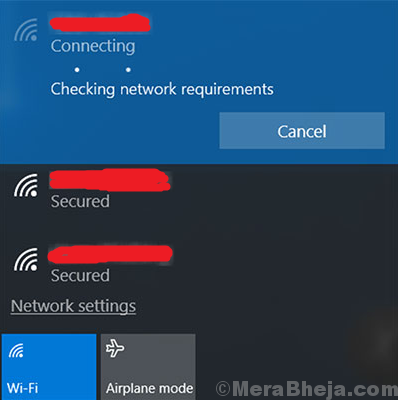 This happens when the user tries to connect to the network, however, the system neither connects, nor gives the “Can’t connect to this network” error message. You could try restarting the system if it helps, but usually it doesn’t. Since Windows is aware that users are facing this issue, thus they would be trying to resolve the same. The resolution would be launched in form of an update. Thus, we need to keep Windows up to date. The in-built network troubleshooter could be of help for this issue. 2] Go to Updates and security and then to the Troubleshoot tab. 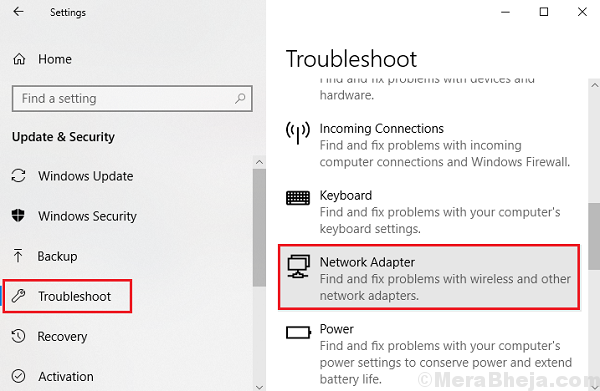 3] Choose the Network adapter troubleshooter. 4] Let it run and then restart the system. If the above steps fail, we could uninstall and reinstall the network drivers as suggested here. The above solutions should help resolve the issue.